Setting out to challenge various common assumptions in risk research, this collection explores how uncertainty is handled in a range of social contexts across the globe. Social science research often emphasises the salience of risk and uncertainty for grasping the dynamics of late-modern societies, with theoretical frameworks tending to associate the emergence of risk with particular, fairly homogenous, European or ‘North-Western’ paths of modernisation. These theoretical narratives can be seen as shaping various assumptions regarding ‘risk cultures’, not least associations with post-traditional, largely secular and liberal characteristics. Risk is therefore analysed in terms of modern, active, ‘rational’ citizens, meanwhile faith, hope or magic are implicitly relegated to the past, the oriental, the passive and/or the irrational. 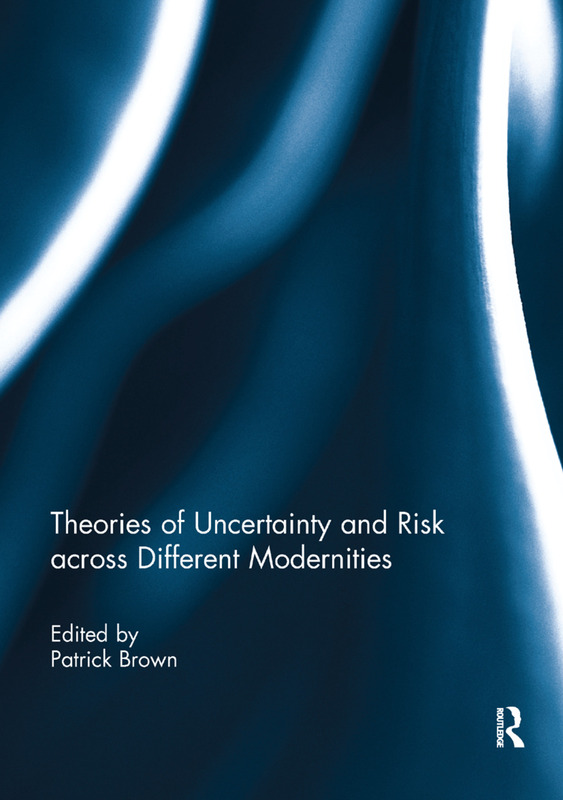 Central to the book is the consideration of risk across a range of different modernities. While the precise meaning and organisational processes of risk vary, we see the common combining of risk, faith, magic and hope as people go forward amid uncertain circumstances. Whether seeking health amid illness, survival amid flooding, or safety amid migration, we explore the pertinence of risk around the globe. We also stress the ubiquity of faith and the magical in various modern settings. This book was originally published as a special issue of Health, Risk & Society.